NEW YORK (WABC) -- WABC-TV engineer Don DiFranco was working at the Channel 7 transmitter site on the 110th floor of the World Trade Center North Tower when terrorists flew a hijacked American Airlines jet into the building on September 11, 2001. Don's first and last call was made to the master control room of Eyewitness News headquarters, located at 7 Lincoln Square, to alert fellow engineers of a possible disruption in service. Don worked at WABC-TV for 13 years to keep us on the air, and we will never forget his dedication to his job, his fellow employees and our viewers. A plaque now hangs in our building lobby to forever honor his sacrifice. 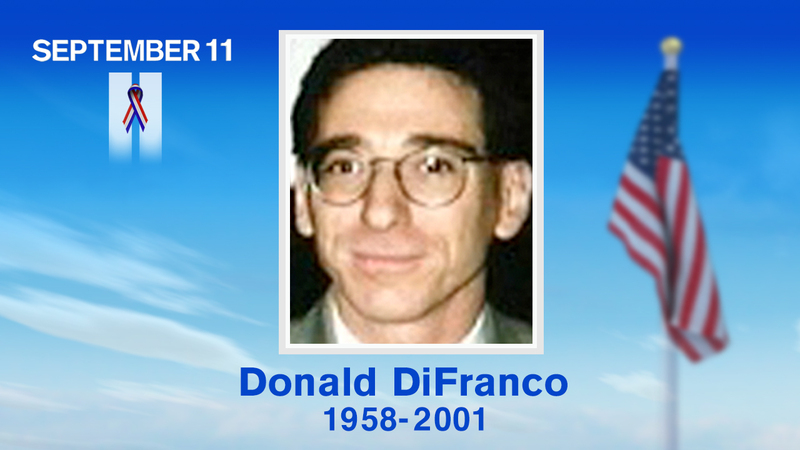 And so we remember Don DiFranco, five other broadcast engineers and all of the nearly 2,800 people who died at the World Trade Center on September 11, 2001.